Pet Fed, a pet-festival which commenced its voyage in 2014 has become bigger and better with time and this year it will ascertain its place as the grandest pet gathering in India. Having started its journey with a small free of cost event in INA, Dilli Haat, Delhi, to check the possibility of its growth and popularity among pet lovers, Pet Fed has come a long way now with a determination to become the biggest platform for pets. Pet Fed recently wrapped up its 2017 edition at NSIC Okhla across two days. Powered by Dogsee Chew, the event will do its debut in MMRDA Grounds, Mumbai this year from December 16 to 17. 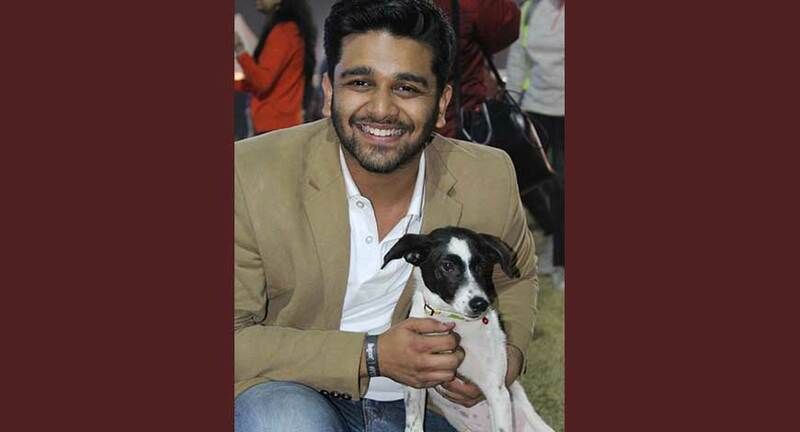 In a candid conversation with Everything Experiential, the Founder and Managing Director of Pet Fed, Akshay Gupta, opened up about the growth of the festival since its inception, event’s prime partners and the exclusive experiences this edition would offer to the pet owners, other than the beautiful view of cute paws playing all around them. Initiating the talk, Gupta spoke about how they had begun back in 2014 with an intention to verify whether this model would work for them or not. Later on, while witnessing an increase in the footfall, Gupta started to commercialize the event with ticketed entries and other changes. “In its 4th year, we are seeing an annual growth of 6x,” he claimed. While mentioning the prime partners of Pet Fed, Gupta said that Dogsee Chew is their event ally for this edition. When asked about the activities that the festival would be engaging its furry guests with, the event founder had a long list to share. Starting with the Security Dog Show, Good Dog Citizen Program, and the Obedience Display, the event will also be featuring Pet’s Got Talent for the first time in the country, in which the pet will receive a one-minute time slot to showcase its talent in front of an onlooking audience, claimed the organizers. 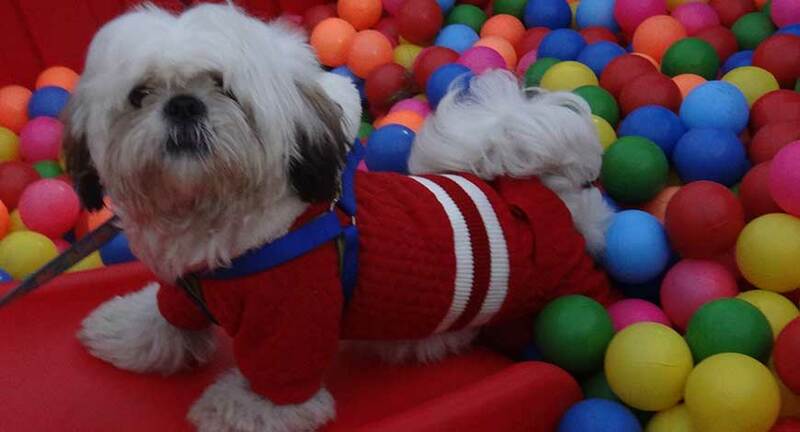 The festival planners have also declared that the top three winners in the Pet’s Got Talent will be awarded Rs. 60,000 individually. In addition, pet lovers will also get an opportunity to see their bundles of joy wrapped in beautiful ensembles for the Fashion Show, ready to elevate the cuteness level at the event. Along with this, a Police Dog Show will also take place wherein protection dogs will be showcasing real-life scenarios of robbery and theft. 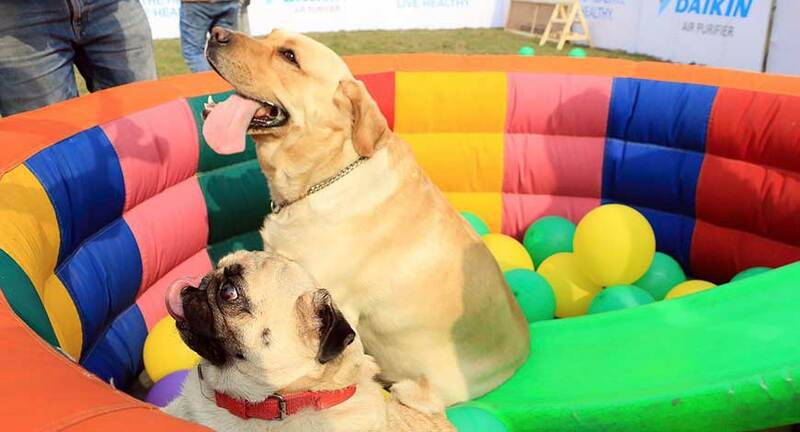 Apart from the activities, the festival will also be broadcasted for 30 long minutes in the form of an episode on CNBC TV 18, giving pet lovers an opportunity to flaunt their furry friend on television in front of million eyes. Discussing on how the event planners maintain peace on its premises with so many dogs around, Gupta with a laugh replied that they have appointed a big volunteering team for the purpose. “We give three different colored tags to dogs depending on their behavior, angry ones receive the red tags, mild ones receive blue tags whereas friendly dogs get green tags from us. This enables the attendees and volunteers to understand, who they should not mess with,” explained Gupta. Also, throwing light on how the festival will be engaging the pet owners, Gupta said that other than watching dogs doing various activities, the event will be having around 150 different food and drink stalls. Other than this, one would also get to witness several brand engagements happening at the venue.